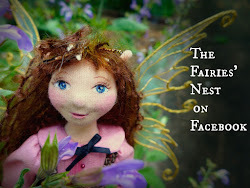 The Fairies Nest - OOAK Cloth Dolls & Fiber Fantasies: Spring!!! 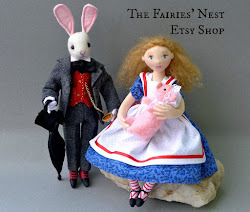 So I've been on kind of a Spring binge with my doll making as well. 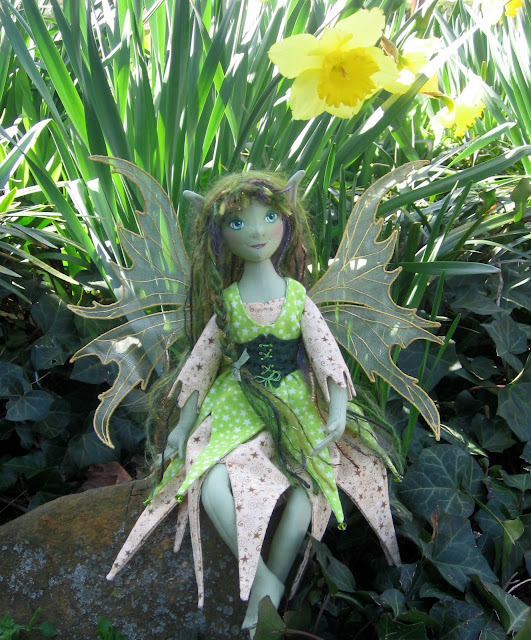 Meet Keelie, a Spring fairy and harbinger of change and growth. I had so much fun doing all the details on her! 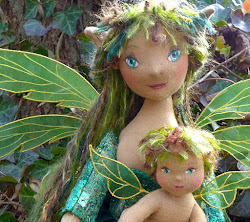 I've got several others on the sewing table right now in various stages of completion; a Spring witch, a garden witch, and a couple of the bigger flower fairies, so if I actually get a few days without interuptions I might get a lot of work done!...and I haven't forgotten the promised fairy tale dolls...they're still in what I call the "percolation" stage. I did promise my best friend I'd go see the "Other Boleyn Girl" movie with her tomorrow so I only have myself to blame for that interuption...but I am a total sucker for a movie with good costumes!! Nothing says Spring like daffodils! I think you're right though, we will probably get at least one more frost. In April, after everyone has done their initial spring planting. Keelie is way groovy,I love the laced bodice on her dress. Gorgeous work, as always! I'm so intrigued by the fairy tale dolls!! She is the sweetest thing :) and I'm looking forward to those fairy tale dolls! Do you have pictures of the ones you've made in the past? You make me want to go read Dragonsinger now, even though it's my bedtime. I love the green lady. I just posted a picture of your bunnies in play action on flickr. They're actually blooming where you are! Ours haven't even shot up stalks yet. Gorgeous pictures, btw. Nice flower pictures! 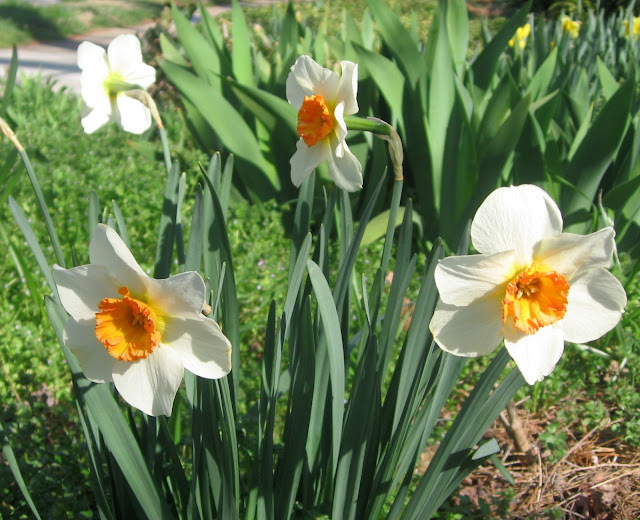 I put up Daffodils as my header image at the blog - great minds love daffodils, I guess! Keelie is incredible! I can't wait to see the garden witch too! Keelie is a lovely doll! I love her dress and corset. Keelie Green comes to mind with this one! 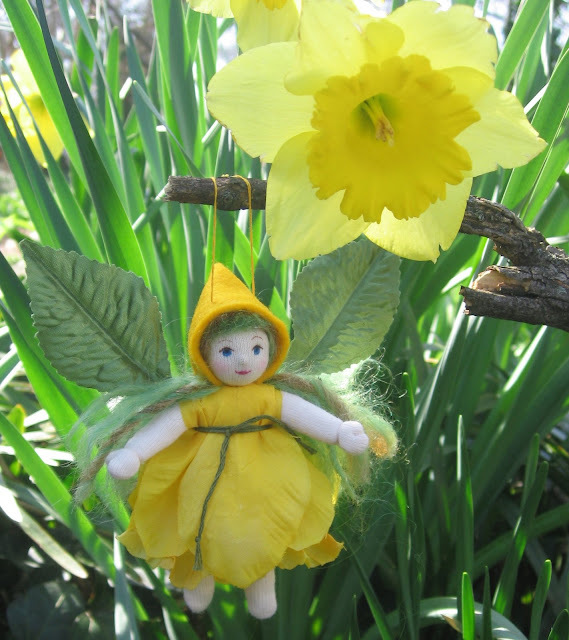 I LOVE the little daffodil pixie! And I agree you should do photo cards. Your photography is amazing, sadly a skill I can't seem to get. Hehe, I'm passing on the tag. You can see the instructions to this little "game" on the top post on my blog.